The “Elvis of Malaysia” releases another ‘solid gold’ album! EIN doesn’t often review albums by ETAs and Elvis stylists, but we make an exception when something special comes along. And the latest album release from one of South East Asia’s most well known and respected Elvis stylists, HT Long, is something special. A quality of HT Long's smooth vocal is his ability to connect with the lyrics of each song he sings. Often belied by his easy going vocal style (ala Dean Martin) there is an endearing and resonant quality to not only his voice, but also the overall production of each of the 13 tracks on Please Don’t Stop Loving Me. The album mix is decidedly pop-ballad, with a tinge of country, and it works a treat. From the opening strains of Faded Love (a gem recorded by Elvis on his iconic Elvis Country album) to the closing bars of the classic, The Last Farewell, HT Long delivers a most satisfying album of aural delights. The title track is one of Elvis’ lesser known recordings, originally featured in the period costume film, Frankie & Johnny. The poignant lyrics of this sensitive love song are well mastered by HT. It is always good to hear the underrated pop tune, Angel, and a very catchy When My Blue Moon Turns To Gold Again benefits from well balanced contemporary instrumental backing. In fact, the backing instrumentation on each track is delightful. The aural balance between it and HT's strong vocal is wonderful. On Faded Love the use of the brass section is superb as is the understated guitar work on Pledging My Love. One of the album highlights is a sublime rendition of the Johnny Tillotson classic, It Keeps Right On A Hurtin', while another standout performance, which would please newlywed Olivia Newton-John, is a great version of her mega-country hit, If You Love Me Let Me Know. After a period of easy going pop ballads throughout the 1960s, Elvis re-launched his recording career with a strong emphasis on more powerful and emotionally charged ballads. HT Long offers a number of these, including How The Web Was Woven (one of my favorites from the Elvis That’s The Way It Is LP) and the classic Elvis single, I’ve Lost You, which gets a resounding rendition from HT who uses the later ‘live’ lyrics rather than the original sexually charged ‘single’ lyrics. Several forgotten Elvis gems also get the HT treatment. Inherit The Wind (from the Back In Memphis album) and This Our Dance (from the Love Letters From Elvis album) are great inclusions, while the single that never was for Elvis, Words, is deftly delivered by a master vocalist. On several of the recordings HT's "Asian" vocal inflection is evident. Rather than distracting from our listening pleasure, it is engaging, and gives each song an intriguing feel. HT Long has a solid back catalog of recorded material. 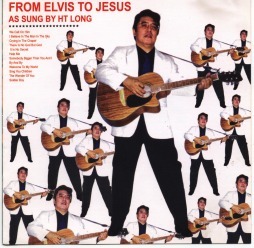 Other albums by HT include From Elvis To Jesus (with a cover mimicking the iconic Elvis’ Golden Records Vol. 2: 50 Million Fans Can’t Be Wrong); The King Is Alive, A Tribute To Elvis Presley; Light & Easy (read EIN's review) and The Ultimate Elvis Tribute. 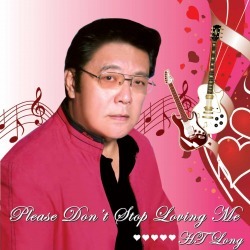 Verdict: If you like the easy listening recordings of Elvis in the mid 1960s and his emotionally charged ballads of the early 1970s, then you will delight in listening to HT Long’s latest album, Please Don't Stop Loving Me. The artist is deservedly one of the best Elvis vocalists in South East Asia and his latest album does not disappoint. HT Long is without doubt the very best Elvis soundalike in the world today. I have all his albums but my favourite is his mini-album "A Special Gift For You". This Special Tribute EP Album features4 beautiful songs On A Snowy Christmas Night / Winter Wonderland / Soldier Boy / I'll Remember You. HT Long's superb version of Soldier Boy sounds so much like Elvis and it can be easily mistaken for an Alternate Take by Elvis! HT Long is truly amazing. On this Tribute Charity EP CD, he's given new life to such lovely Elvis Presley classics. His rendition is always of top quality and most of all always sincere. Elvis himself would have been real proud of him. 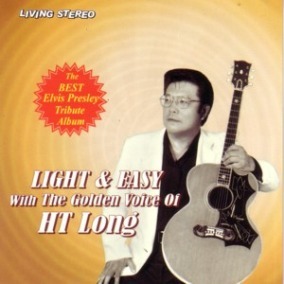 "LIGHT AND EASY With The Golden Voice of HT Long"
The name HT Long has long been an important one in Elvis circles throughout South-East Asia. 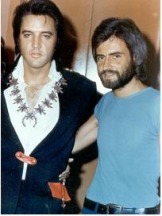 As President of the Malaysian Elvis Fan Club, HT has been at the forefront of things Elvis for many decades. To top it all off he is also one of the region's premier Elvis tribute artists, with a number of stellar album releases to his credit. HT 's latest album is Light And Easy With the Golden Voice of HT Long. It is a very strong and engaging release with 14 tracks expertly fashioned by an artist who really knows his craft. HT's vocal and carefully orchestrated delivery nicely invoke the Elvis style as he effortlessly moves through a very entertaining mix of the familiar and not so familiar. Worldwide Elvis' Paul Dowling was spot on when he dubbed HT, "Mr.Golden Voice". From the opening drum beat of Treat Me Nice to the closing notes of I Miss You, HT Long stamps himself as a superior interpreter of the Elvis catalog. Also in the mix are a lilting Anyway You Want Me and a resonantly deep, As Long As I Have You. Whether it be delighting the listener with the frothy Puppet On A String, bringing a smile to our face with the jaunty Beyond The Bend, or losing his independence on I'm Falling In Love Tonight , HT has a golden smooth "Elvis" voice which will entrance many fans. While his latest album is essentially for ballad lovers, HT also lifts the tempo slightly with his rhythmic renditions of the quasi-rockers, Treat Me Nice and All Shook Up. Among the other tracks on the album are the (unfortunately) rarely sung Tender Feeling, the latin infused and soaring, Marguerita, and one of The King's most infectious songs, Tonight Is So Right Right For Love. HT's renditions of the ballads I'll Never Know and I Miss You evoke that wonderful Elvis quality of being able effortlessly touch each listener through a magnetic vocal. There are several highlights on the album. The inclusion of the often overlooked and similarly underrated Lonely Man is superb. This is a recording very true to Elvis' hauntingly beautiful and resonant record of the despair felt after the break-up of a much valued relationship. Another highlight is Anyone(Could Fall In Love With You), one of the strongest tracks from one of Elvis' weaker film vehicles, Kissin Cousins. It is beautifully sung by HT Long. On all of the 14 tracks the backing is very solid, nicely complementing HT's strong and emotionally moving vocal. It is always a positive when vocal enunciation is clear and sans the slurring of words so many western Elvis tribute artists seem to believe is the way to interpret the Elvis song catalog. HT Long is to be congratulated on his well modulated and crystal clear enunciation. Verdict: Not only does this album live up to its name, but it is also a throughly professional and highly enjoyable one. Play it once and I guarantee you will play it many more times. When the 'Apache Elvis' pages were born on August 16, 1998 - I vowed that I would not include anything on these pages that was not about Elvis. Today I am breaking that cardinal rule that I imposed on myself by reviewing the CD 'From Elvis to Jesus'. I have tried to rationalize to myself why I am reviewing this CD; maybe it's because Elvis got me hooked on Gospel music, maybe it's because my lady Jen is from the South and can belt out a Gospel song at any given moment, maybe it is because this is a fantastic CD or maybe it's a combination of all the above. Jen will tell you when I really enjoy a CD, I can't just sit down and listen to it. I have to pace back and forth and sing along with it the whole time it's playing. Right now we have a track that I have worn in the carpet so I figure I better get this review done. Anyhow enough of the rationalization. Even if you are not a Gospel or Elvis fan, this CD is still an excellent addition to any CD collection. It smacks of class and professionalism - whoever the sound engineer was on these recordings he knew what he was doing. HT Long has one of those voices that clicked with me instantly keeps on getting better and better every time you play the CD. He has some very interesting interpretations of some of these Gospel numbers and includes some selections that I never thought of as Gospel music. I think the best way is to go get this CD for yourself for you will surely enjoy it. 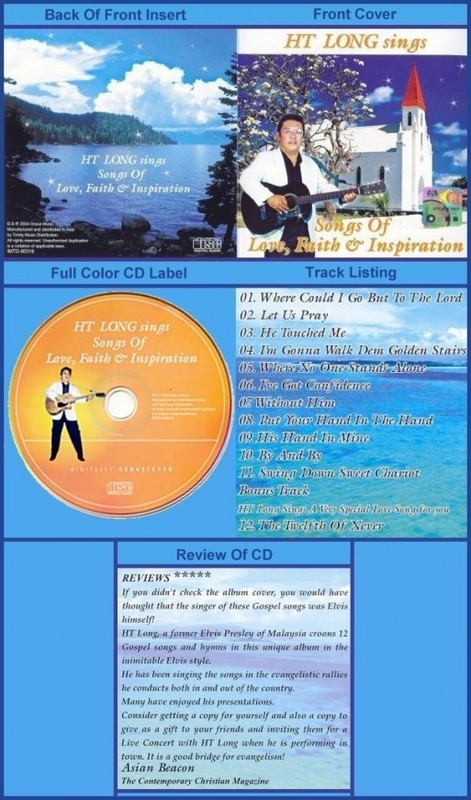 CD - "Songs Of Love, Faith & Inspiration"
We recently received another new CD, an Elvis Style Gospel Album recorded by our good friend HT Long from Malaysia. This CD is great for this time of year - especially with Thanksgiving and Christmas just around the corner - as always HT Long has recorded this CD with perfection! As we have said many times before HT Long really sounds like Elvis - and he is very respected in the Elvis community. Our favorite cuts are "I've Got Confidence" and "The Twelfth Of Never"! If you wish to order this CD or require information on how to book HT Long please contact his manager at the following email address - honey.in.the.rock@gmail.com - thank you. We are sure you will all enjoy this great CD ! 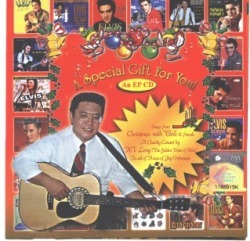 This weekend we received a great Elvis tribute CD from our friend of many, many years HT Long from Malaysia. In over 30 plus years of friendship we have received many great Elvis gems from HT Long - we consider HTs' latest CD recorded in honor of Elvis to be another great gem ! I must agree with Jen that HT Long sounds more like Elvis than any other Elvis impersonator we have ever heard! The whole CD is perfect - our favorite cut is "Soldier Boy" ! If you wish to order this CD or require information on how to book HT Long please contact his manager at the following email address - honey.in.the.rock@gmail.com - thank you. We guarantee you will enjoy this excellent CD !